‘HALO’ re-imagines how the green, grey, blue and built infrastructure work together to make new communities inherently healthier, greener and smarter. 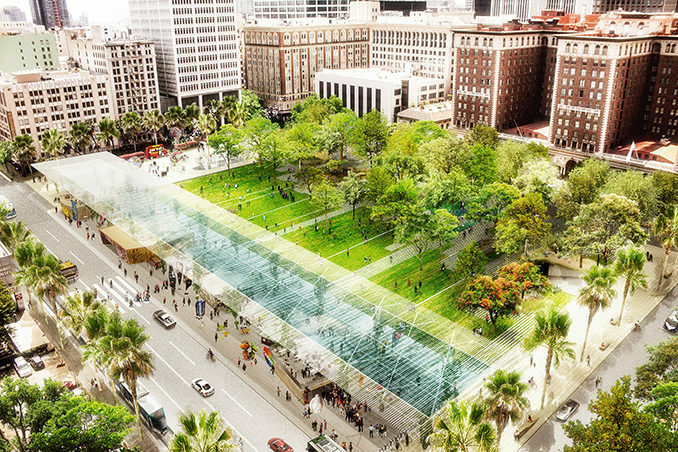 The vision for Pershing Square that has been developed is based on a new paradigm of public space, integrating social and cultural life, nature and the urban fabric. It is the project of a “canvas”, to be developed fully with inhabitants and stakeholders. 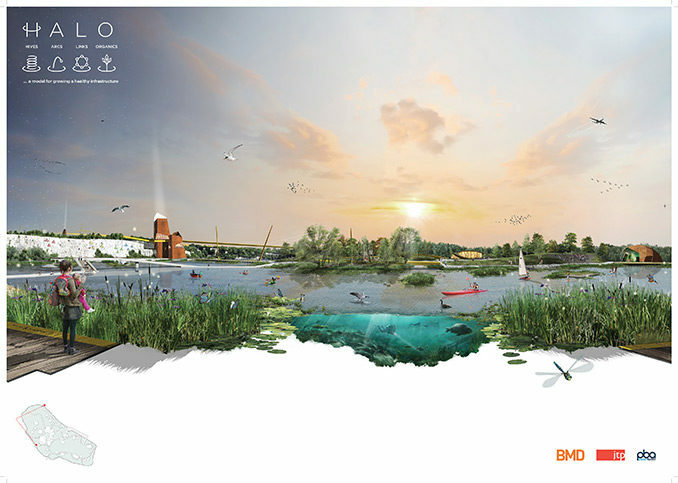 ‘Collect & Connect’ strategy proposes a resilient, responsive network where creeks and streets could be transformed into linear corridors of water management and community gathering to transform the regional structure from a vulnerable loop into a resilient network. 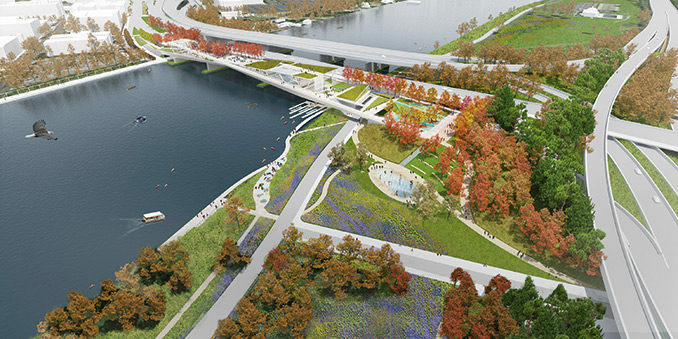 Sanlin Valley Park represents a new landscape model for urban ventilation corridors. 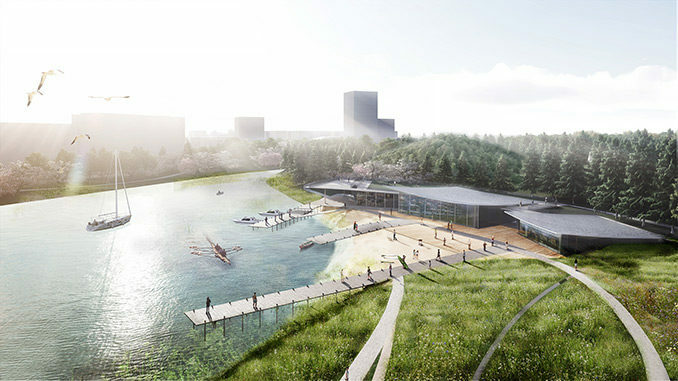 These new “urban valley parks” that transect Shanghai will restore the Huangpu River’s ecological network and improve the city’s natural ventilation systems. 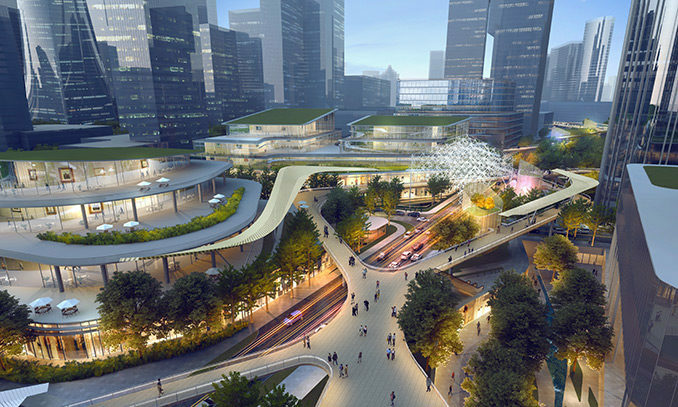 interconnected elevated walkways, linked by escalators and stairs to a lively streetscape and basement level civic realm. 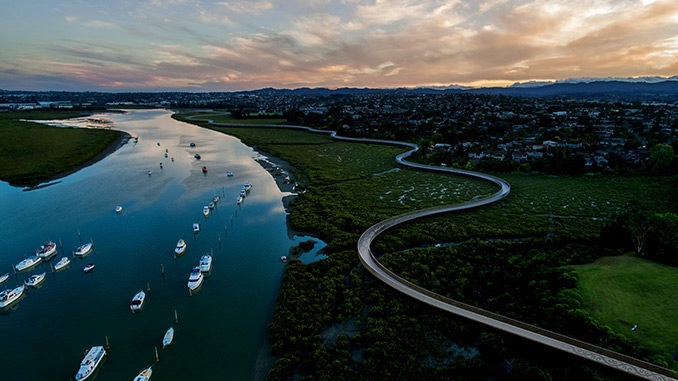 Te Whau Pathway is a 13 km cycle/walkway infrastructure proposed for the city of Auckland, New Zealand. 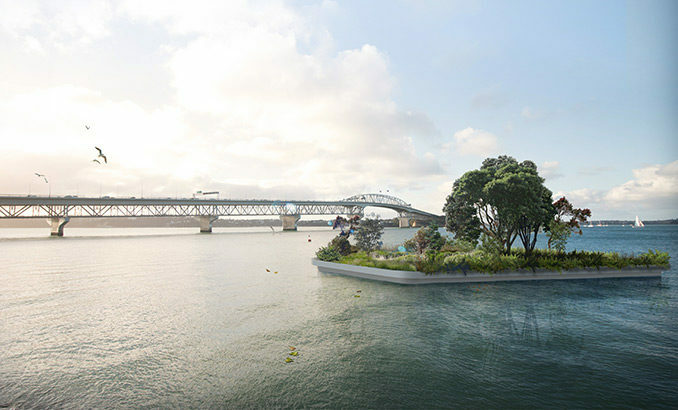 Through iconic architectural form, public art and enhanced ecologies, the long and varied history of the region is celebrated through the Te Whau Pathway.